Joe Jackson wears his heart on his sleeve. The Brit-Pop artist, who first came into public eye on the music scene in 1978, caught the attention of the world for his razor sharp wit and his no-nonsense rock music. He was on the wave, or I should say New Wave of British pop, which included Elvis Costello, Nick Lowe and Ian Dury. Jackson’s articulate music stood out among the crowd of angry young men with attitude because his songs were much more sophisticated than the three-chord rock Costello et al brought to radio at the time. Born in 1954, Jackson a piano player and alto sax player was influenced by Big Band jazz and classical repertoire while growing up. Jackson’s enriched and learned background in music had a lot of appeal considering the success of his debut album Look Sharp! (A&M) in 1979. He got regular airplay, toured the world and had a major label backing his every step. Clearly somebody at A&M believed Jackson made great music and they were right. He released eleven albums for the label until 1989, including two soundtracks Mike’s Murder and Tucker which showcased his talent as a composer. He fared quite well compared to Elvis Costello and Nick Lowe but Jackson wasn’t often mentioned in the same breath by fans or critics, perhaps because his punk attitude at the beginning of his career merely opened a door to higher achievement. 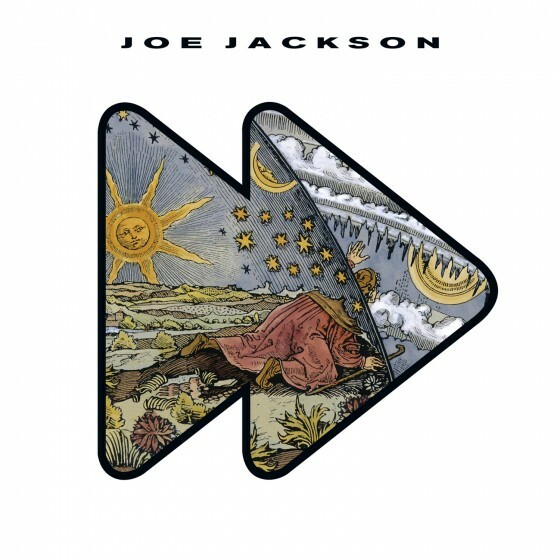 By 1982, Jackson was a household name following the release of the superb New York City tribute Night & Day with its Gershwinesque cover art and a collection of songs about relationships and other topics, that resonated with fans who wanted to graduate to better more complex type of song writing. That album went to No. 4 in the U.S. and No. 3 in the UK. Jackson was on a roll. The under-recognized Body and Soul, featuring a Blue Note Records mock cover photo from the late fifties, followed it. On that record Jackson incorporated his jazz influence into his pop songs with majesty while offering up the single "You Can't Get What You Want ('Til You Know What You Want)" as fodder for Top 40 radio. That single failed to crack the Billboard Top 10. Yet it said as much about the times as it did about Jackson’s dynamic career. By the end of the eighties he only made two more albums for A&M, including a Greatest Hits collection in September 1990. It capped a great decade for Jackson, whose emphasis on acoustic music, in lieu of the abundance of 80s synth-pop, stood out from the mainstream. Joe Jackson performing in Zürich, 1980. By 1991, Jackson, the restless composer, soon began to tap into his classical music experience while maintaining a pop sensibility. In 1997, he released an ambitious album about the seven deadly sins called, Heaven & Hell (Sony Classical). The record alienated the old fans but encouraged new ones for its accessible subject matter. Clearly the record label recognized Jackson’s talent for writing songs with street-wise lyrics and complex harmonies. It featured two Canadians, Brad Roberts (Crash Test Dummies), Jane Siberry from the pop world and soprano Dawn Upshaw, who also participated in the concept album. But it failed to make an impact. In spite of that result, his next record for Sony Classical was Symphony No. 1 released in 1999, which peaked at No. 7 on the Billboard Classical Chart. Finally, and to quite possibly to fulfill his contract, Jackson wrote and recorded Night & Day II, a follow-up to his 1982 album, about his adopted home of New York City. In recent years Jackson’s output has been greatly reduced due to inconsistent record contracts and his own desire to work at a snail’s pace. In 2003, he put out a genuine rock 'n' roll album with the Joe Jackson Band, his stalwart line up over the years that included Gary Sanford, Graham Maby and David Houghton. 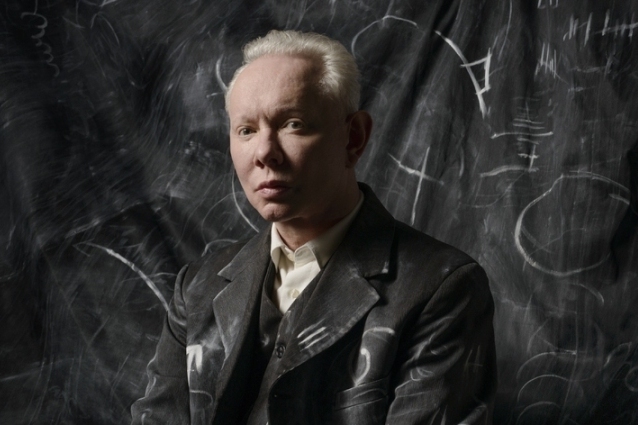 Suddenly Joe Jackson was on the road playing his hits and rejuvenating his career at the age of 49. Two more albums followed, as Jackson took several years off to recover. Then he released The Duke (Razor & tie) in 2012. That album, which featured new interpretations of music by Duke Ellington sung by an eclectic number of vocalists, including Iggy Pop, actually reached No. 1 on the Billboard Contemporary Jazz chart. Once again Joe Jackson was back into the mainstream of pop by arranging another composer’s work for a contemporary audience. Which brings us to Fast Forward (Universal), Jackson’s new album of 12 original tunes, plus two covers. Fast Forward is a collection of songs about escaping one’s past. Musically, the album is a creative gumbo of jazz, pop and torch songs. But the songs are linked by Jackson’s analytical point of view. In one sense, it’s a monologue on his state of mind, only this time he’s attempting to shape it around four major cities. The 16 tracks are broken up into 4-song EPs: New York, Amsterdam, Berlin and New Orleans. But instead of the same band in four distinct cities, we also get four different groups led by Jackson. This artistic mix has it pros and cons, but it’s in keeping with Jackson’s eclecticism as a musician. The first set of tunes is the most passionate and intense of the whole album. The New York tracks, featuring jazz players Bill Frisell, guitar, and Regina Carter, violin, really punch up the first four songs. From the opening notes of the title track, one can hear Jackson get right to the point when he laments the present state of the world and whether he has a place in it by going “fast forward til I understand the age I’m in.” The band’s cover of “See No Evil” by Tom Verlaine is an excellent reminder of Jackson’s early post-punk sound making it strongest cut of the four. It’s a song that captures the youthful angst he once had, but never really shook off. The Amsterdam set is much more formal with the addition of a string section in the band. On the tune “Far Away,” Jackson develops the theme of escaping his past: “I listen to the trains, trains to take me far away, far away, far away from England.” It’s the most pensive song-set on the record. The Berlin set features a really tight six-piece group, but Jackson’s music begins to slip into cliché. To my ear these tracks seemed contrived. A salute to the 1920s is heard on the tune “Good Bye Johnny” (a cover from 1928), which might have more effect if sung by somebody in character. The performance is strong, but the song seems limp rather than tragic. “If I Could See Your Face” could pass as an Iggy Pop/David Bowie mash up without Eno at the soundboard. It’s a heavy rock song with a metallic drone in the background. Jackson's dark narrator seems less convincing to my ear because he can't pull it off effectively. His vocal timbre doesn't allow for songs on the seedier side of life, unlike Iggy Pop. Jackson wants to experience the theatrical “escape” of Cabaret, but falls short. The New Orleans set is a little stronger, particularly on “Keep On Dreaming,” a hopeful song, even for Jackson as he sings "I'll keep on dreaming until I get it right.” It's got a funky, southern groove with a decent horn refrain featuring Jackson on alto sax. One could consider it the sequel to “You Can’t Get What You Want” from 1984. The album closes with “Ode To Joy,” a hopeful wish for people in despair. Somehow Jackson comes out alright in spite of his desire to escape his troubled past. Joe Jackson has always been a self-conscious songwriter. Fast Forward, like most of his albums from the eighties, including the first-rate Big World, are about coming to terms with the fucked up world around him. It would be a mistake to think of him as an idealist. Fast Forward is his latest tirade against the “Big World” and his own growing sense of insecurity at the age of 61. But Jackson’s songs on this album seem entirely written from his head. He’s almost too intellectual about what bothers him on this record. I would have liked a little more dirt in the songs, like he displays on “See No Evil.” Perhaps it’s Jackson’s own sense of impatience we’re witnessing. That is, he’s switching to fast-forward in the hopes that some traction is generated quickly by pulling his life out of the mud. But Fast Forward is an album that needs to slow down a little. Many of the performances lack a certain polish that distinguished his early work; consequently they lack feeling. As a long time fan of Jackson’s music, Fast Forward is good but unbalanced. It’s a record that needs a little more grunge to be an effective statement in 2015. – John Corcelli is a music critic, broadcast/producer, musician and member of the Festival Wind Orchestra. He's just finished Frank Zappa FAQ: All That's Left to Know About the Father of Invention (Backbeat Books) to be released in 2016.